Peaceful quiet sunny apartment, very warm and comfortable. Surrounded by bush and trees. 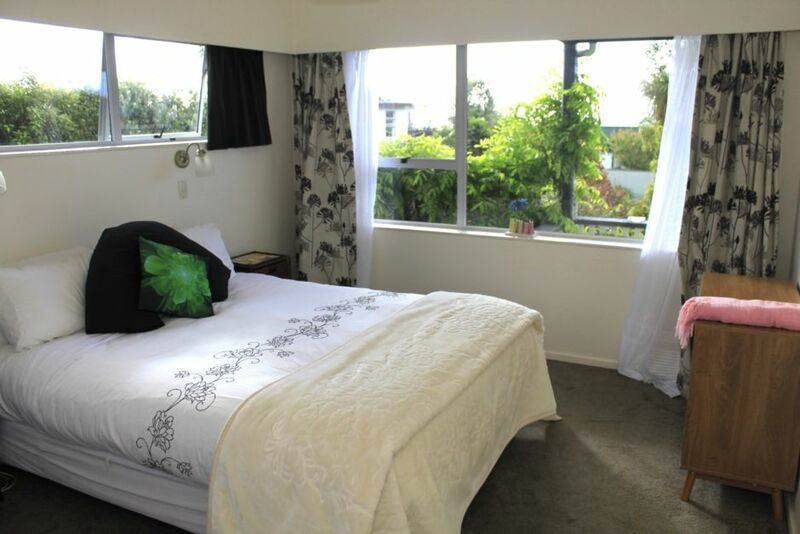 Only a 6 minute drive away from the heart of Nelson city. The Nelson Saturday markets are not to be missed for their craft works! The apartment is only a small stroll away from the sea side with beautiful views of the coast line and the iconic boulder bank. Founders Heritage Park is just 3 minute drive from the location. In the hot weather lounge by or take a dip the swimming pool. Your holiday awaits! The owners are on site so please be respectful. Sue and Laurie were great hosts. The kitchen was very well stocked with every cooking appliance, down to an apron in the closet. The bed was comfy, and the pool was available to us. I did a load of laundry and used the clothesline. Thanks very much it was a pleasure to have you you stay. A pleasant and good value stay - everything as advertised. very clean and well set out. The apartment was very clean and tidy, it was quiet although the kids were often woken late in the evening from the flushing of the toilet or use of the shower in the above apartment. The sheets and towels smelt very strongly of smoke. It suited a small family and accomodated us well for our stay. Hi Liz the flushing of the toilet is not the norm.We have a medical condition in the house which will soon be over.Generally we do not flush that toilet at night.As for the smoke smell in the line we dont understand.All a linen is washed aftter each stay.We can only asume someone has been smoking in there which shoudnt have happened.We will address this matter at once. Excellent location, would stay there again. We had a great stay at the apartment, lots of nice touches to help enjoy the stay. We had a great stay at the apartment, lots of nice touches to help enjoy the stay. Nice location and very comfortable.